Malta: introducing legislation in the area of digital innovation, innovative technology arrangements and virtual currencies as it tables Bills for a second reading in Parliament. The third reading and passing of the three bills entitled the Virtual Financial Assets Act, 2018, the Malta Digital Innovation Authority Act, 2018, and the Innovative Technology Arrangements and Services Act, 2018 (hereinafter referred to as the “Bills”), took place in parliament on the 4th July 2018. Following the above, such Bills were published in the Government Gazette of Malta Number 20,028 and were consequently enacted into Acts on the 20th July 2018. 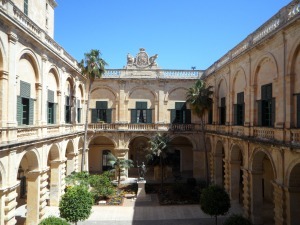 However, the Bills will come into force once a notice to that effect is published in the Government Gazette of Malta. The Malta Financial Services Authority (hereinafter referred to as the “MFSA”) is working on establishing further guidelines to supplement, as well as act as a foundation for the Virtual Financial Assets Act (hereinafter referred to as the “Act”) and is also currently in the process of gathering the industry’s feedback. Chapter one of such guidelines, which concerns VFA Agents, has already been published. The remaining two chapters of the guidelines will regulate VFA issuers and VFA service providers. The MFSA has also not yet established fees, administrative penalties and certain exemptions. Updates and further developments are expected in the coming weeks. For further information, please contact Dr Ivan Vella on iv@advocate-vella.com, Dr Anndrea Moran on am@advocate-vella.com or Dr Nicholas Bradshaw on nb@advocate-vella.com.